Sigma Thermal recently merged with Flaretec to further improve our ability to provide top-quality heating solutions for industrial applications. Together, we have further strengthened our direct-fired heater experience and product portfolio. API 560 is a commonly referenced design code for direct-fired heaters. Flaretec direct-fired heaters can be designed and manufactured with full or partial API 560 compliance as required by the customer. Direct fired heaters, like indirect fired heaters, enjoy several customization options when it comes to their fuel source and burner flexibility. Clients can choose between standard and engineered burner configurations that use both traditional and alternative fuel sources as well as natural draft and forced-draft units. We also offer low-emission burners that meet emission requirements including Low NOx and Best Available Control Technology. Direct fired heaters can exceed base efficiencies of 90% on an LHV basis depending on the process inlet temperature, and when an optional economizer is added, they can achieve as high as 93% efficiency. We also build all units with complete control systems that optimize safety and performance. We supply simple and cost-effective standard panels as well as full process automation and PLC-based combustion controls and BMS. The Sigma Thermal and Flaretec merger has allowed us to provide industrial process heating equipment and services on a global scale, ensuring higher efficiency, enhanced cost-effectiveness, and extended local market support. Flaretec has been designing, manufacturing, and servicing direct- and indirect-fired heaters since 1979. The company has an installed base of over 2,000 fired heaters and ancillary process systems worldwide, with heavy concentrations in Europe, North Africa, and the Middle East. Now under the name of Sigma Thermal Middle East, we have opened a regional office in Dubai U.A.E.. Local sales, project support, engineering, and aftermarket staff will support regional customers, while the original Flaretec office in Chesterfield, England, will remain open as Sigma Thermal UK & Europe to serve UK and European clients. Capitalizing on Flaretec’s 40 years of industry experience and brand recognition, we’ve rebranded all of our direct fired heaters as Flaretec Direct Fired Heaters. If you would like to learn more about our heating solutions and how we can design new systems to your precise specifications, talk to one of our Application Engineers or request a quote today. 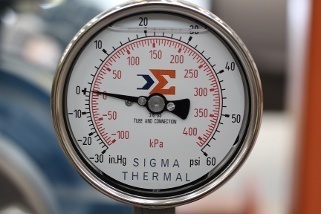 Let the experts at Sigma Thermal help you select the appropriate heater based on your industry and needs. We have a full range of industrial heaters that are suited for all types of applications. Contact us today or request your quote. We are in the midst of a U.S. shale revolution: advancements in shale oil and gas extraction techniques have led to greater natural gas production levels and a renewed demand for natural gas in industrial and power applications. Because of the increased level of competition in the industry, process efficiency is paramount. Bringing natural gas to market cost effectively hinges on the optimal design and operation of the natural gas sweetening process. Natural gas produced from reserves in almost never pure; rather, it contains acid gases such as carbon dioxide and hydrogen sulfide. One way to remove these impurities is amine gas treatment. An amine plant (also known as a sweetening plant) is used to remove the carbon dioxide and hydrogen sulfide from the gas solution so that pure natural gas can be efficiently transported to end users via pipeline. 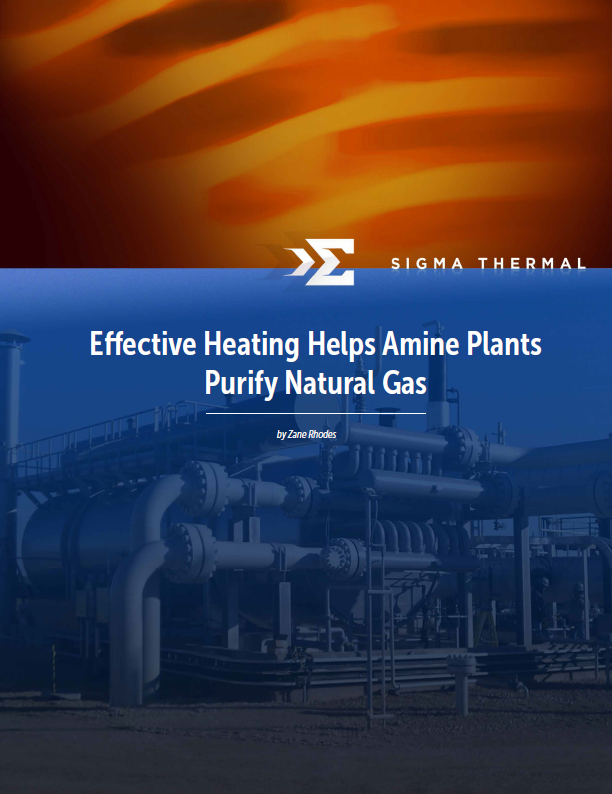 Our latest white paper, Effective Heating Helps Amine Plants Purify Natural Gas, describes how to improve the natural gas purification process with effective heating. It also reviews the optimal conditions and system settings for controlling the amine regeneration temperature and optimizing the efficiency of the process. The process works like this: the natural gas mixture and amine are combined in an absorber, where the carbon dioxide and hydrogen sulfide are removed. Pure natural gas exits from the top of the vessel and the amine is sent to a regeneration system (consisting of a still and a boiler) where it is filtered for reuse. Usually, control and bypass valves are used to maintain a constant flow through the thermal fluid heater in the regeneration process. Moreover, the temperature of the system is typically controlled using overhead temperature measurements in the reboiler. There are a few problems with this standard procedure, which are described in detail in the eBook. If these problems are not addressed in the design of the control scheme, the process will not run optimally and the control systems could destabilize. Using thermal oil as an indirect heat source can significantly increase the life of the amine solution and increase process efficiency. 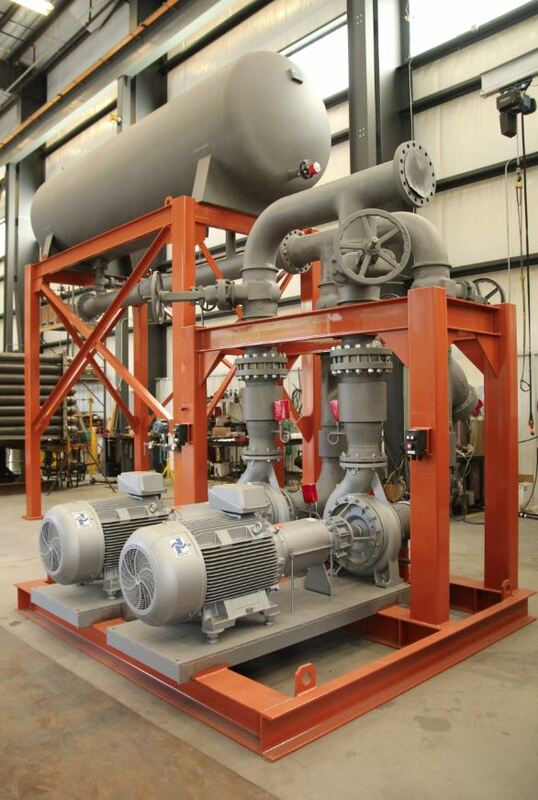 Typically, system operators manually set the flow of thermal oil through the reboiler. This is a convenient solution that prevents any need for frequent fine-tuning, but this conservative approach wastes energy. The eBook discusses the thermal fluid system specifications required to optimize the operation of amine plants. Sigma Thermal has a long history of providing highly engineered process heating systems and fine-tuning services for existing systems. To learn more about Sigma Thermal’s expertise with amine reboilers, visit our website. Download your free copy of the full eBook here or click on the button below.